Siemens Sirius 3RT1023-1A Contactors, specifications & dimensions - cut-sheet. Siemens Sirius 3RT1023-1A is a heavy-duty industrial motor starter contactor, suitable for starting 3-phase motors up to 3 HP @ 230 volts and 5 HP @ 460 volts. Auxiliary contacts can be front or side mounted. Plug-in overload relays are also available. Coil Power Consumption: Inrush: 69 VA., Sealed: 7.5 VA. 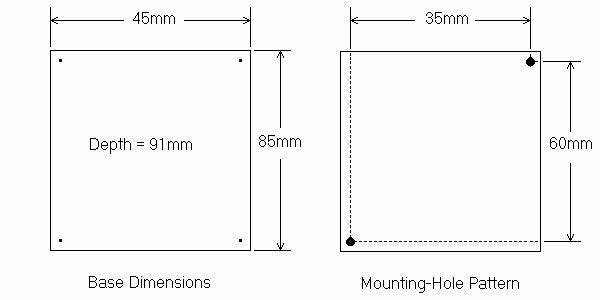 These units have track-mounting clips for 35mm DIN-rail as standard. Front-mounted auxiliary contacts add an extra 49mm to the depth. Side-mounted contacts add an extra 10mm to the side, per each block.